Neapolis University in Cyprus Academics with the various labour industries within the market place. The function of the Liaison Office of Neapolis University was funded under the project “Development and operation of Liaison Offices in the Business world at universities operating in the Republic of Cyprus” and operates, in present, within the framework of the European project “Liaison Offices with the Labor Market”. The main role of the Project is to establish a link between the Academic community and the Business world as well as the integration of student placements programs into the curricula of the faculties of the University. Ultimately, the intervention will contribute to a better and more productive communication and cooperation between the Universities and the labour industries on issues such as resolving problems in the industry, promoting collaborations, students’ placements in business, transferring of specialized know-how and promoting innovation and entrepreneurship in business and academic reality in Cyprus. The Project is funded by the Structural Funds of the European Union (European Social Fund) and by national funds. Informs the students of Neapolis University for available placements in companies and enterprises, both locally and/or Pan-Cyprian. Works as a liaison between companies in Paphos and/or Pan-Cyprian, students and the Academics in order to gain work experience through the placements. Contributes to a further improvement of the association of the University community with the labour market and its real needs. Notifies for educational seminars and conferences. Promotes the communication between the Academics and the enterprises as well as the collaboration in European programs. Organises workshops and seminars of educational and professional interest as well as Career Days in collaboration with the Career Office of the University. Students’ placements in enterprises aiming to gain work experience. Establish a link between the University and the various labour industries, with emphasis, where possible, the high value added enterprises. Collaboration with the other Liaison Offices of the Universities in Cyprus. Cooperation and public-private partnerships within a framework of common objectives. Developing and promoting culture of innovation. Involvement of the academic and the business communities in Cyprus through productive partnerships. 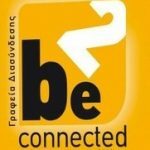 Establish communication channels with the productive bodies/agencies in Cyprus: Cyprus Employers and Industrialists Federation, Cyprus Chamber of Commerce and Industry, Companies, Organizations, etc. Ensuring the empowerment of academic research in business and industry. Maximizing opportunities and capabilities of student / alumni employment, through a student placement framework. Exploitation of the students’ research skills by Cypriot enterprises. Communication and commercialization of academic research results. Encouraging and promoting research in the Cypriot business community. Improvement of the students’ interpersonal skills participating in the placement program by acquiring additional knowledge and communication capabilities. Increasing the opportunities for students in obtaining fixed term employment with market leaders during their studies as well as after their graduation. Employment and on the job preparation of the next generation leaders who have up-to-date knowledge and innovative ideas. Closer cooperation and collaboration between the Universities in Cyprus and the labour industries. Possible reduction of unemployment among young graduates. Development of business and market innovation through modern ideas that will be transferred from the Universities to businesses through the students. It should be noted that all services of the Liaison Office are free of charge. The functions and activities are governed by the Code of Conduct in order to safeguard the confidentiality of personal data and equal access. The Officers of the Liaison Office are always close to students and graduates, serving as an information hub and service. You can contact them online or visit the Liaison Office in the Neapolis University.